All you have to say is ice cream and I’m there! I love ice cream! These days, I try to find ways to eat healthy but still enjoy my favorite desserts. 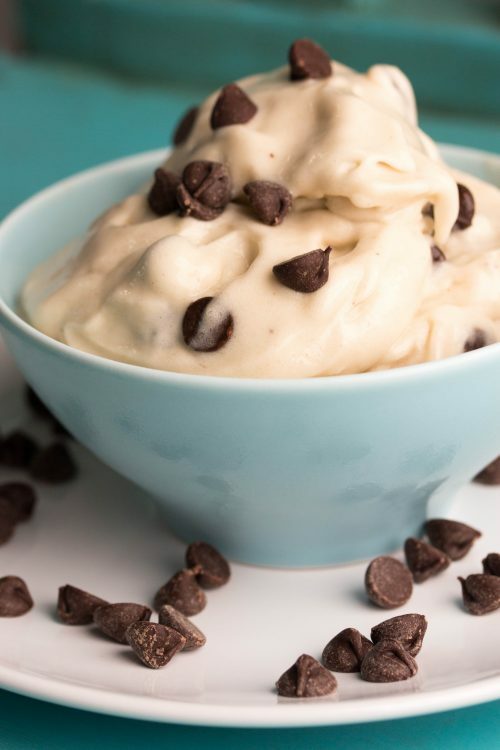 So when I found a recipe for chocolate chip homemade ice cream made out of bananas I had to give it a try. I was very skeptical at first because who would believe bananas could turn into anything with an ice cream consistency?! It quickly won me over though. This recipe is so versatile! You can do just plain bananas, add a few drops of mint extract, or try adding chocolate and peanut butter for an awesome combo. 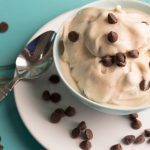 This dairy free chocolate ice cream recipe is one of my go to healthy desserts and it is so yummy! I love it, my old roommate loves it, and even my husband enjoys it! Seriously, give it a try! Ice cream always makes me think of summer! Summers are so much fun. When I was a kid my family would go to Oregon and stay at a little motel on the coast only a few miles away from my great uncle’s dairy farm. At the farm we’d feed baby calves, play with all the cats and dogs, and get ready for the big fourth of July show! My great Uncle would put on the biggest and best fireworks show around. The nearby town would move their show to July 5th just because of how grand my great Uncle’s was. We would have a huge potluck that took several days to prepare for. I remember helping make hundreds of hamburger patties and no matter how much I washed my hands afterwards the dogs wouldn’t stop licking them because they could still smell the hamburger! The kids were in charge of decorating and tying as many firecrackers together as we could in order to announce the opening of the fireworks show. One year we tied so many together it took 45 minutes for them to all go off! Every trip to Oregon included going to the Tillamook Cheese factory, where we would sample different cheeses, buy lots of fudge and eat some of the best ice cream ever! Every time I was there I would get Brown Cow ice cream (now known as Udderly Chocolate) in a waffle cone. Standing in line, smelling the freshly made waffle cones and seeing all the bins of colorful ice cream was every kids dream! Who am I kidding, I still love going there and eating their ice cream! The options are limitless! 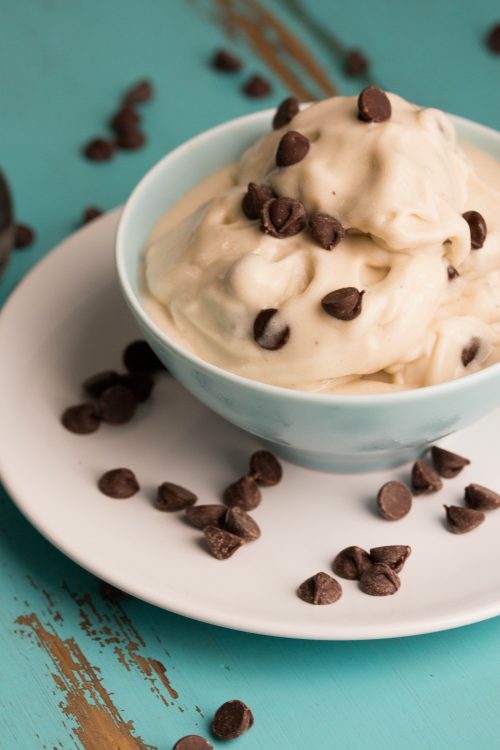 This is the simplest ice cream recipe you will ever try and it is super delicious! Please visit my blog, https://www.ATableFullofJoy.com for more yummy recipes! See you there! Delicious Diary Free Chocolate Chip Ice Cream! 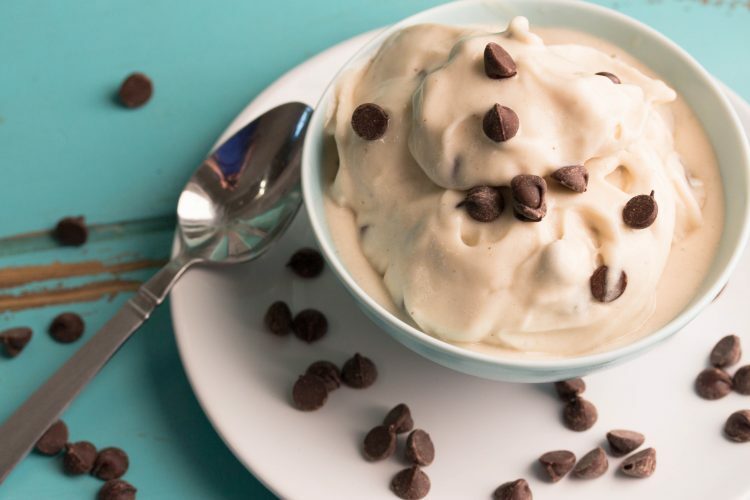 Delicious and creamy ice cream made with bananas! 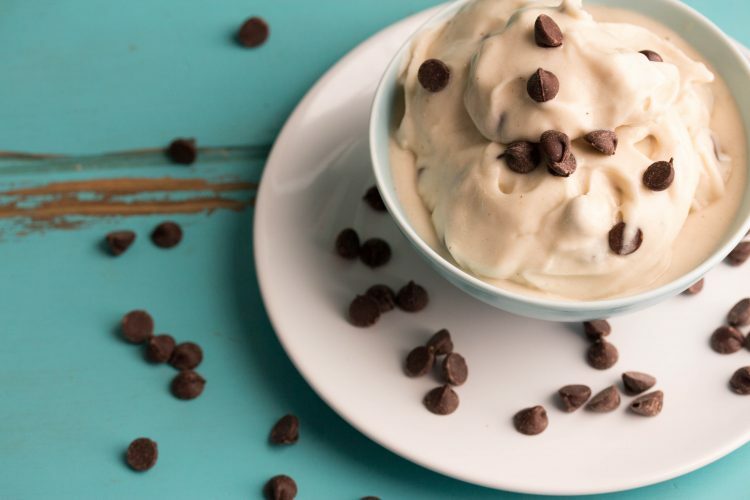 A guilt-free dessert that everyone will love! 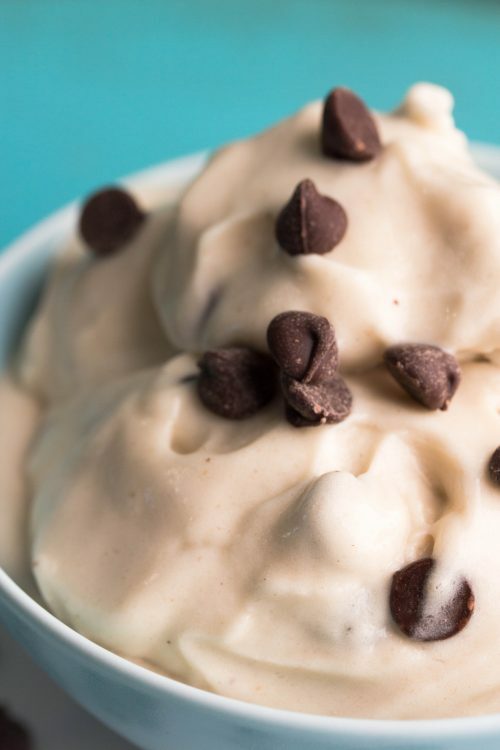 Add frozen bananas to a food processor and blend until smooth. Depending on your food processor this could take anywhere from 5-10 minutes. Make sure to scrape down the sides as you blend. Once smooth fold in the chocolate chips. The “ice cream” will be somewhat soft, like a frozen yogurt consistency. If you want it to be firmer place it in the freezer for a few hours or until it reaches the consistency desired.